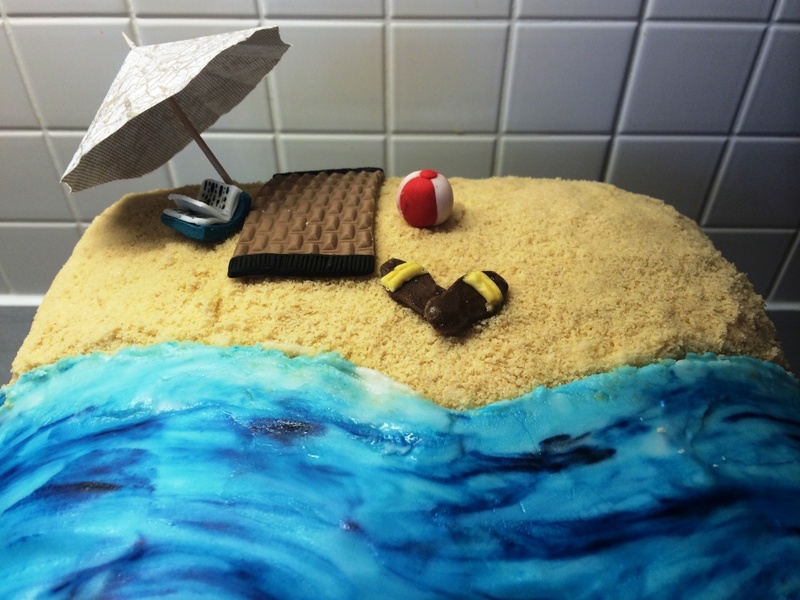 June’s Nottingham City Clandestine Cake Club had the wonderful (if I do say so myself) theme of ‘we’re all going on a summer holiday‘ – conveniently it had worked out to be the day before we went away for ours! Fruity flavours and funky colours were definitely on the menu, and this was a perfect excuse to use some more of my lovely Sugar and Crumbs products. 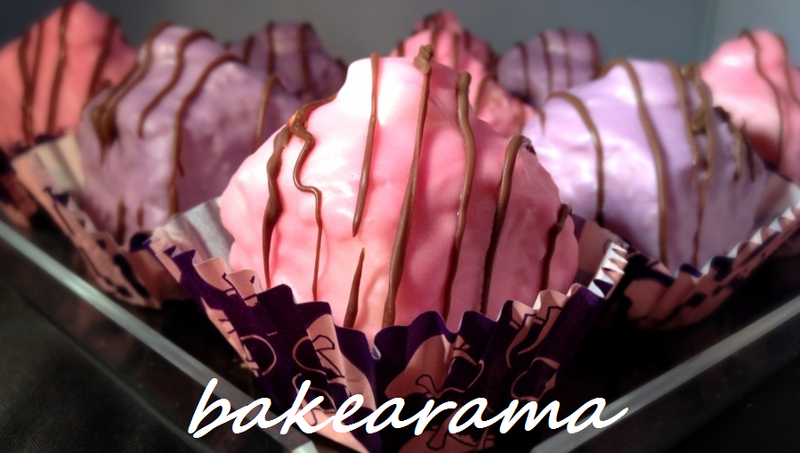 S&C make wonderful flavoured icing sugars and cocoa powders, with completely natural ingredients. They were kind enough to send me some to try earlier this year, and I then won a competition of theirs and received another great supply! 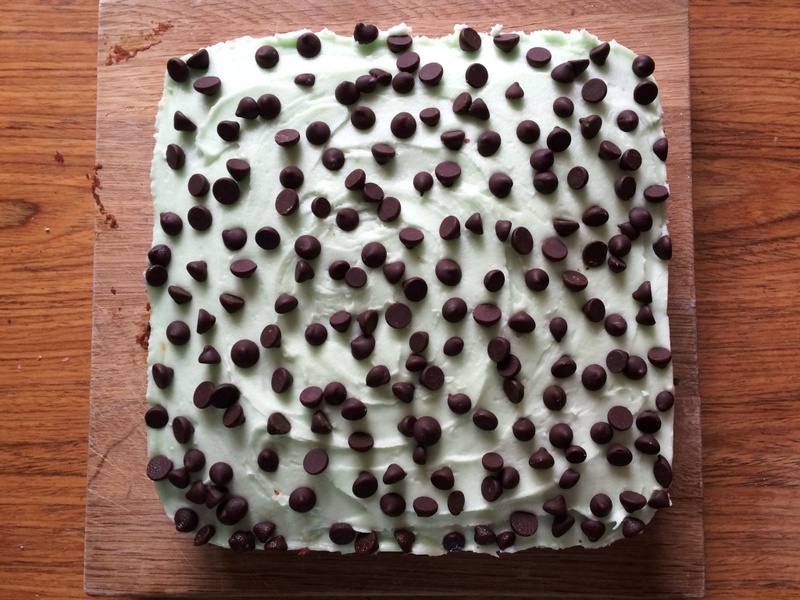 For this cake I used a 500g pack of their tropical icing sugar. If the pink lemonade one smells like Refreshers sweets – this one smells just like Fruit Salad sweets. Sweet tooth? Moi?! 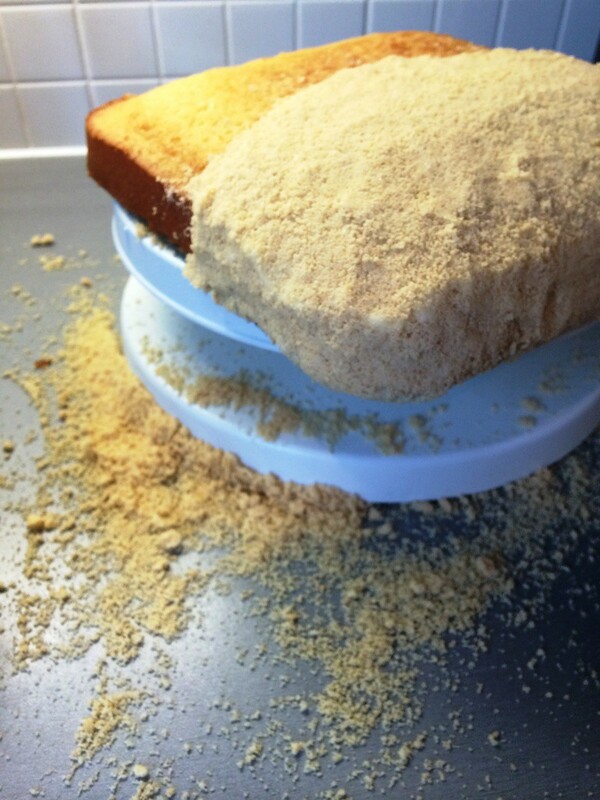 I’d seen somewhere on their facebook page a while back that you can use the flavoured icing sugar in the cake itself, in place of where you’d normally use a white or brown sugar, but after a good search around couldn’t find a whole lot of recipes. 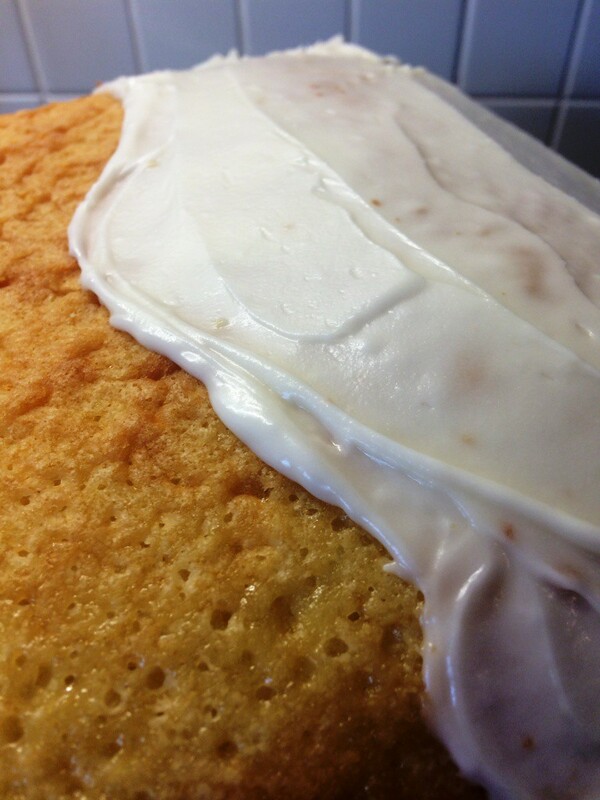 Eventually I stumbled on this Powdered Sugar Pound Cake – but had to convert and scale down before I could get to work. It turned out really well and would definitely work in small bundt (or large one if you scaled up), adjusting cooking times of course. 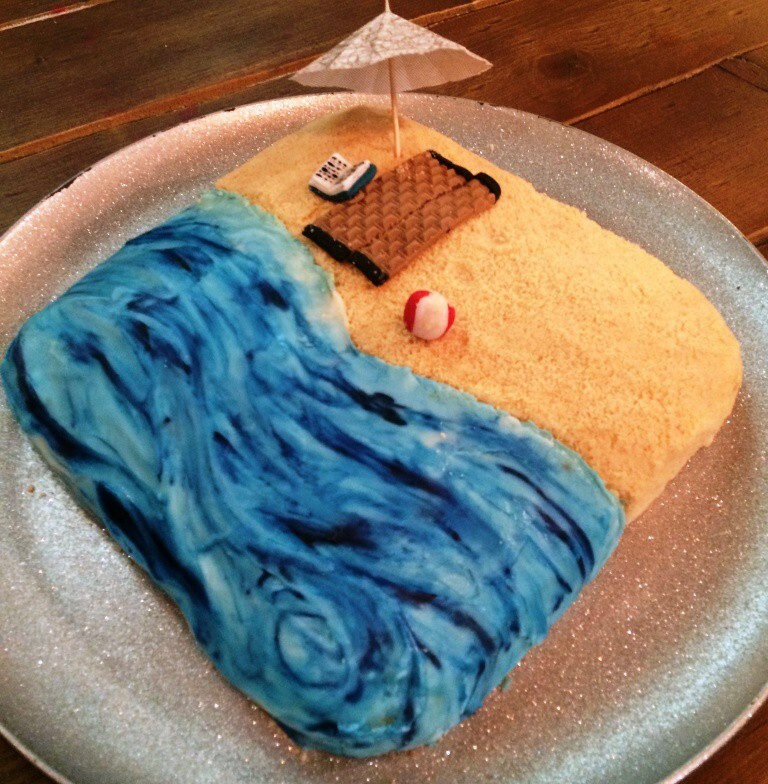 I split the icing for my cake into two, for the sand and the sea. To make the sand, I blitzed up a small packet of biscuits in the food processor. 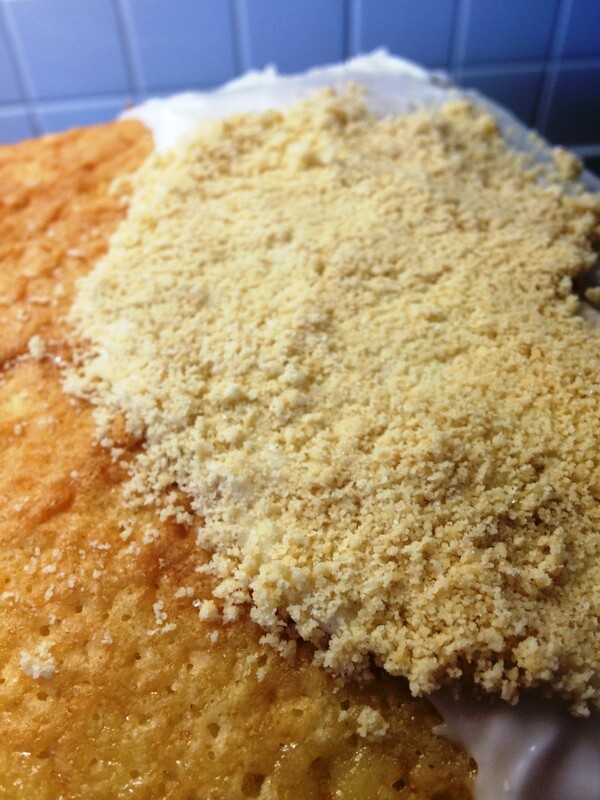 Making a shoreline shape with the butter icing, I then gently pressed the biscuit crumbs all over, until the icing was completely covered. It was rather a messy job trying to get the biscuits to stick to the side! 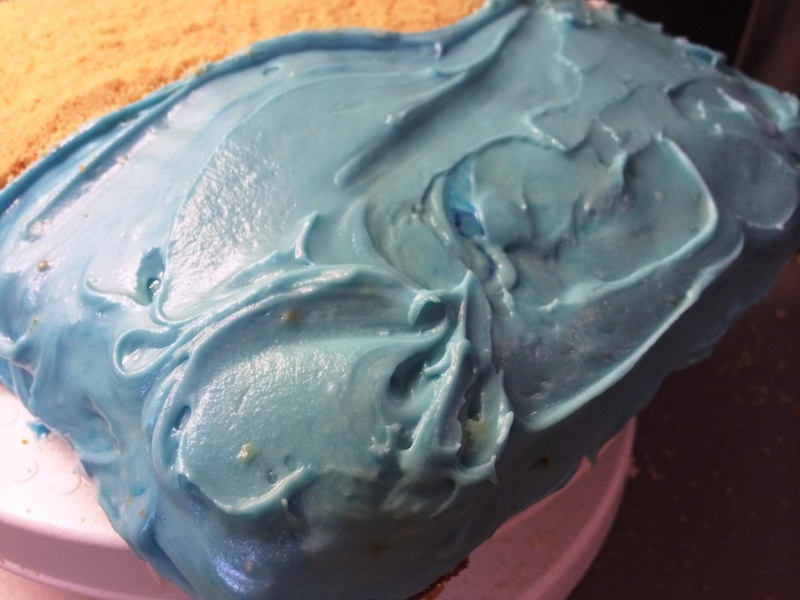 Once the sand had set a little, I set aside a tablespoon of the remaining icing, to stay white, and coloured the rest a light blue, before applying it all over the remaining half of the cake with a palette knife. 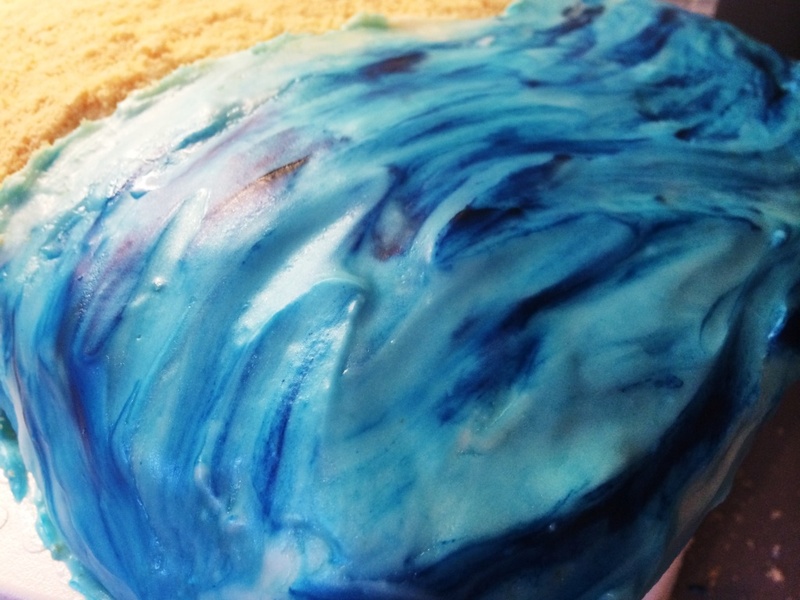 To create the wave effects, I added random and alternate stripes of the white icing, and a bit more blue food colouring. Swirling them around a little with a knife, I then used a palette knife dipped in boiling water to smooth the whole area over. 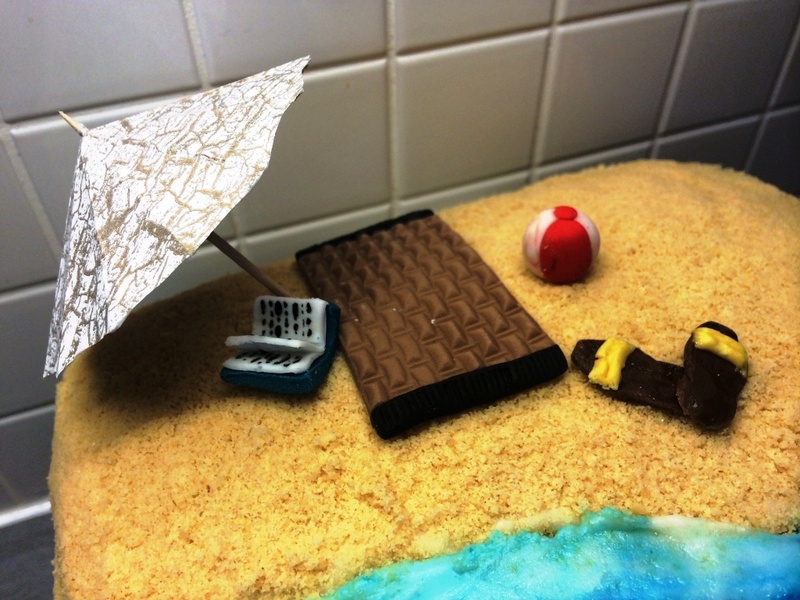 The sand and sea complete – onto those all important beach accessories! How our house doesn’t have any cocktail umbrellas I’m still not sure, but this tutorial on DIY parasols from Food 52 was fun and easy – much better than a drive to the supermarket, which was my back-up option. And all you need is paper, scissors, glue, and a cocktail stick! I then got to work with my fondant to make the remaining elements. For the beach mat, I used a light brown fondant imprinted with a basket weave, and edged with black fondant. The beach ball was simply for rectangles of red and white fondant rolled together, and the birkenstocks shaped and cut yellow and brown fondants. Having completely failed at making a bucket and spade, I decided to go down the literary route for the last item. Starting with a ‘cover’ of dark blue fondant, I then rolled some thin white strips, using a cocktail stick to gently press them into place, and black food colouring for the text. Et voila – one tropical beach scene! 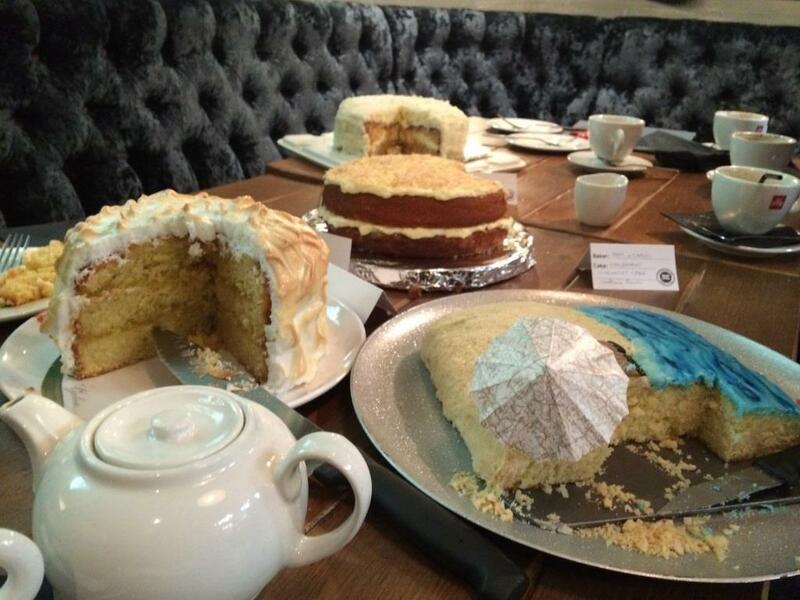 We had a great time discussing all things summer and holiday at CCC, and of course devouring all the delicious cakes. 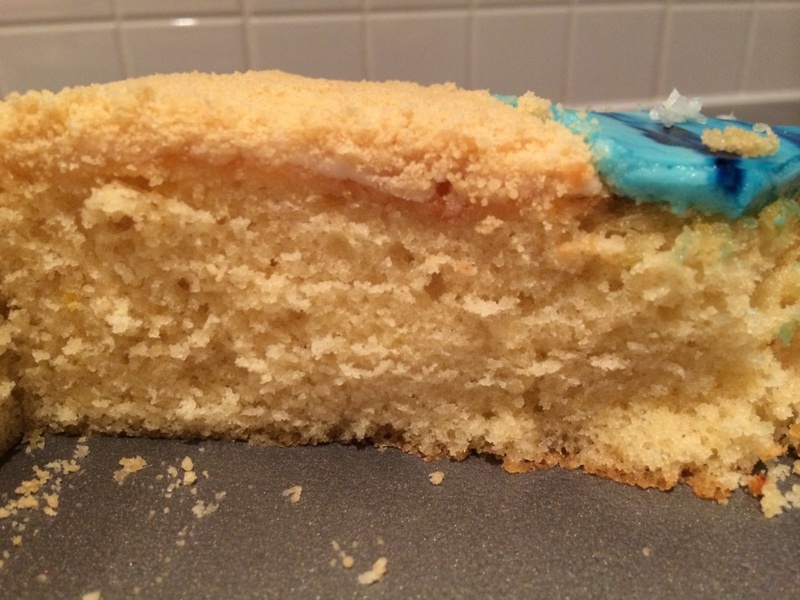 I was really pleased with how my cake came out inside – the icing sugar made for a dense but incredibly light texture, a bit of a cross between madeira and sponge. 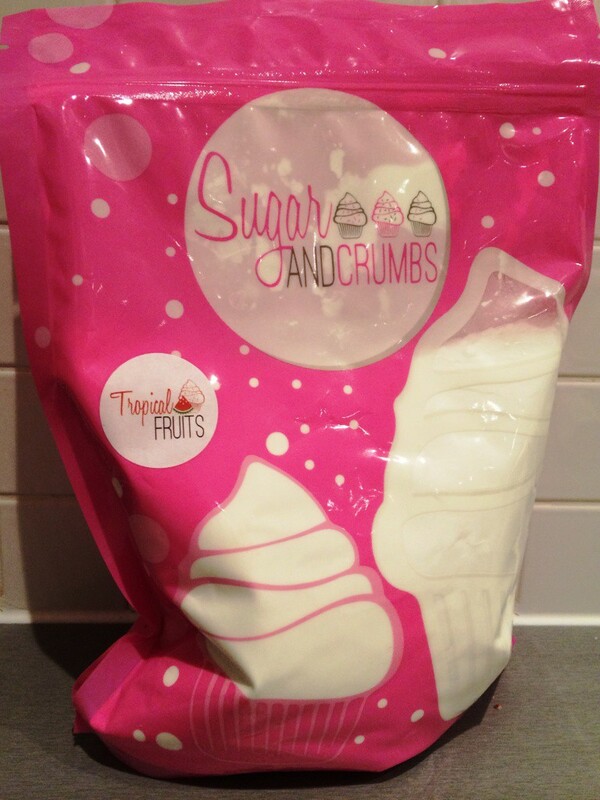 And of course perfectly flavoured by Sugar and Crumbs! 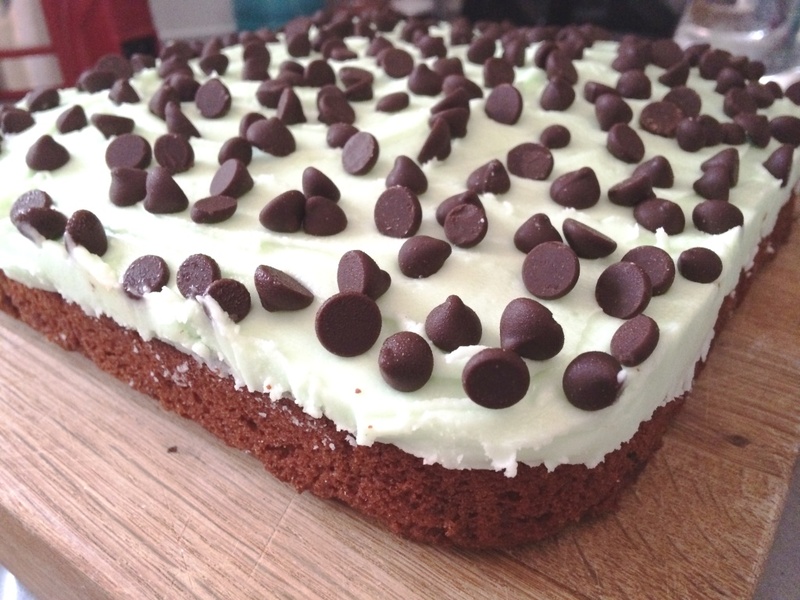 I’ll definitely be trying some more recipes with their icing sugars. 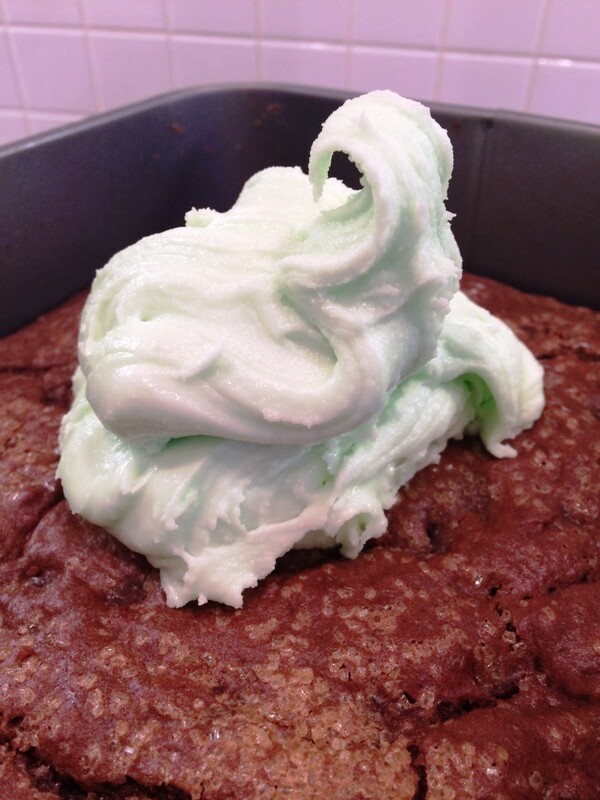 An easy-but-wicked summer dessert – easy to make ahead and enjoyed by everyone! 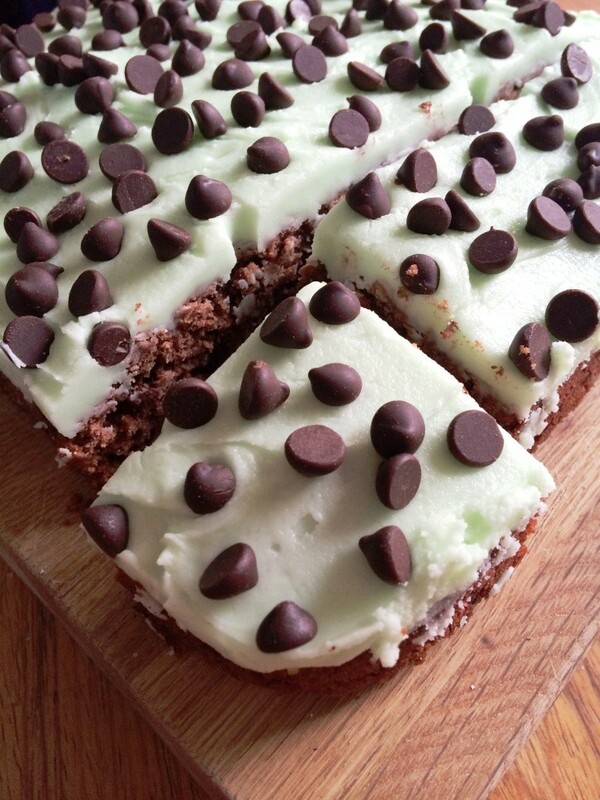 The dark chocolate is wonderfully rich, interspersed with the crunch of the chocolate chips, and finished with a cool, smooth and creamy mint icing. Keep in the fridge until serving for an extra burst of freshness. 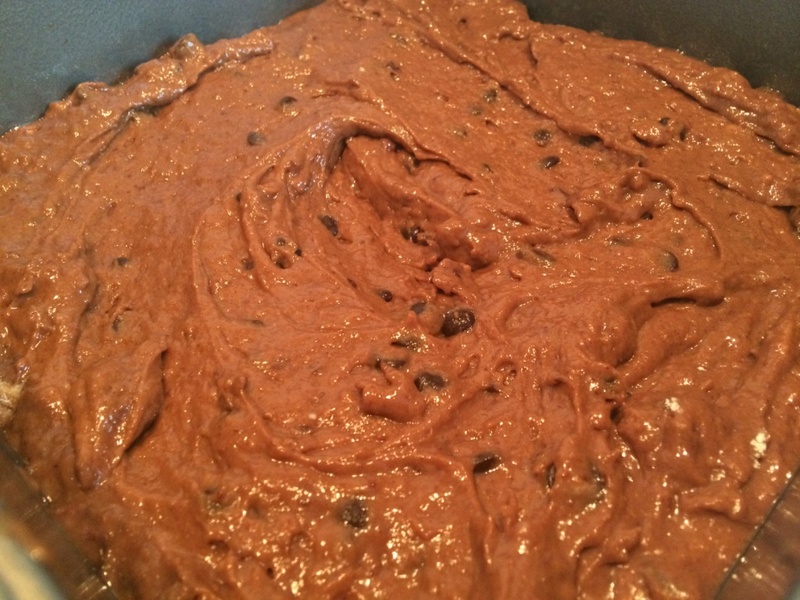 – Bake at 180 degrees for 25 – 35 minutes. 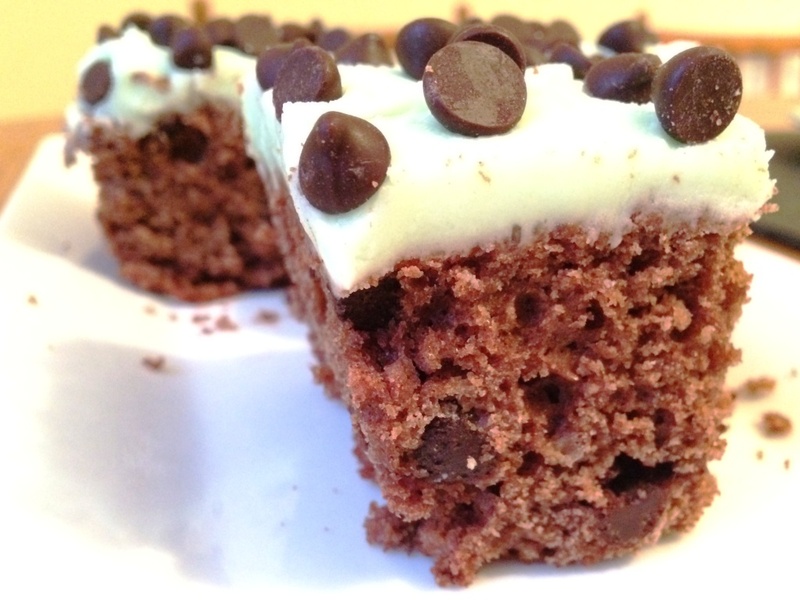 Test with a skewer, but be wary of mistaking melted chocolate chips for uncooked cake batter! 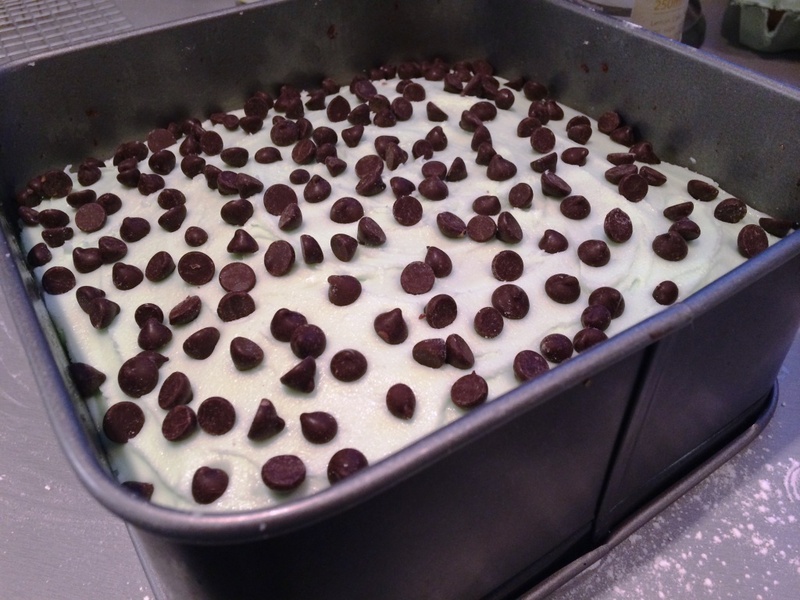 It should also start to pull away from the side of the tin when ready. I find it better to ice within the tin as well – you can ensure an even coating right up to side, and you can even refrigerate in the tin until you’re ready to slice and serve. 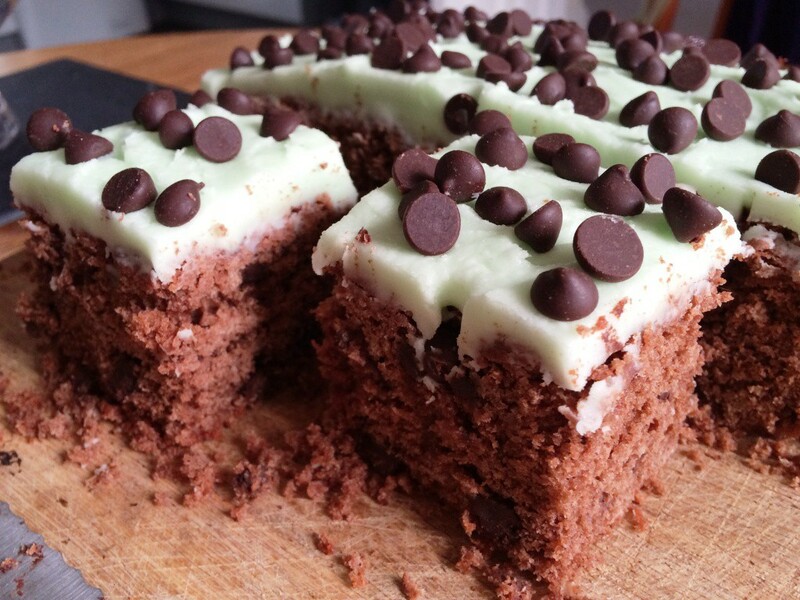 – Cut into squares as large as you please – mine were big and chunky and didn’t last long at all! 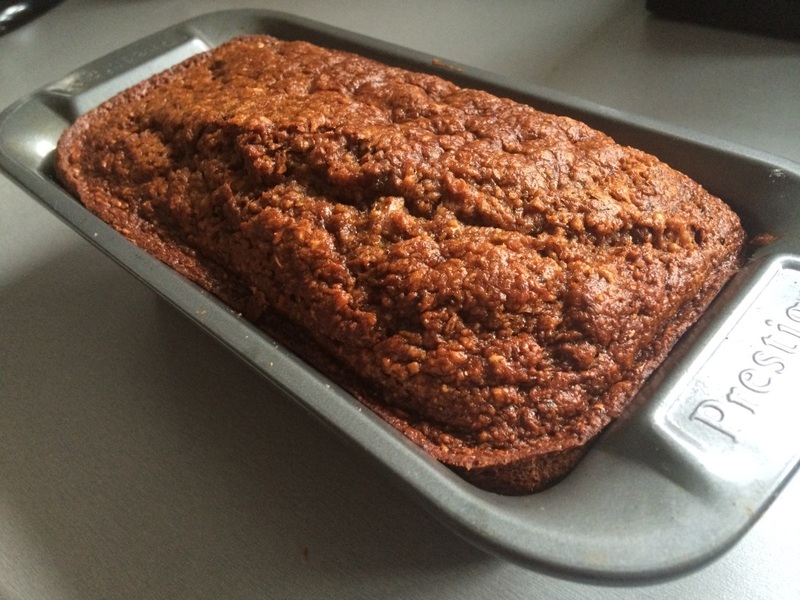 Back home I quickly found some banana bread recipes, and thought the maple syrup I’d brought back from a recent trip to the US would be a perfect complement. 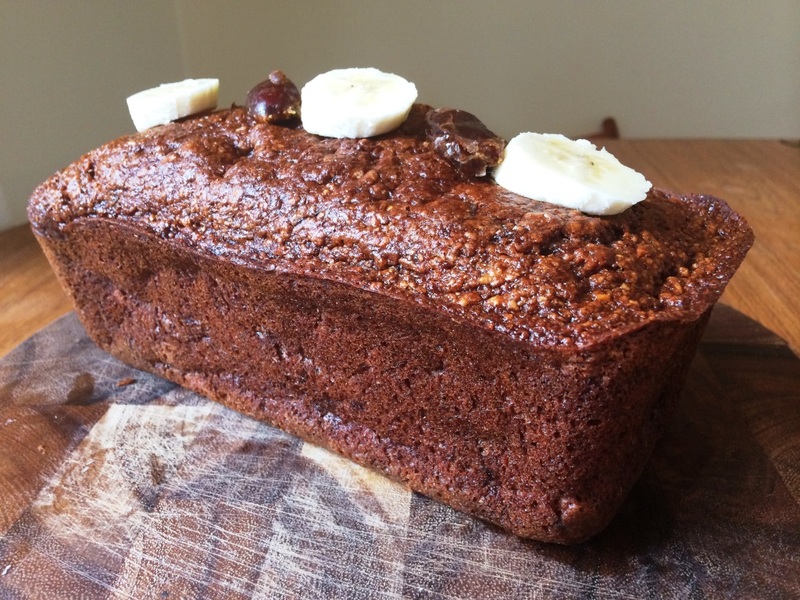 A quick rummage in the cupboard and I ended up with dates as well – to come up with a super-healthy loaf, with no added sugar or fat. (Maple syrup is a natural product, so that’s good for you too, right?) Definitely a good couple of your five a day! You can add more or less spices depending on your taste buds. 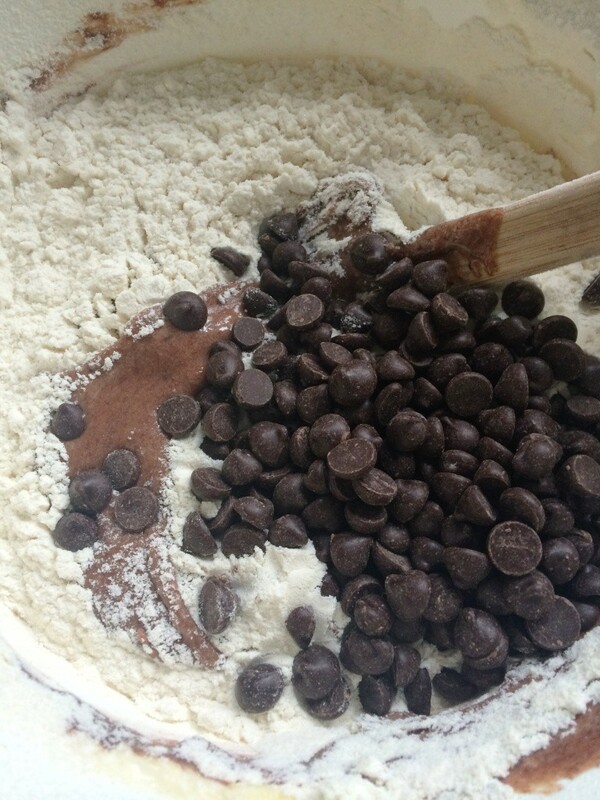 – In a separate bowl, mix the dry ingredients together. Add the date mixture, bananas, milk and eggs. Mix together well, but don’t over beat. 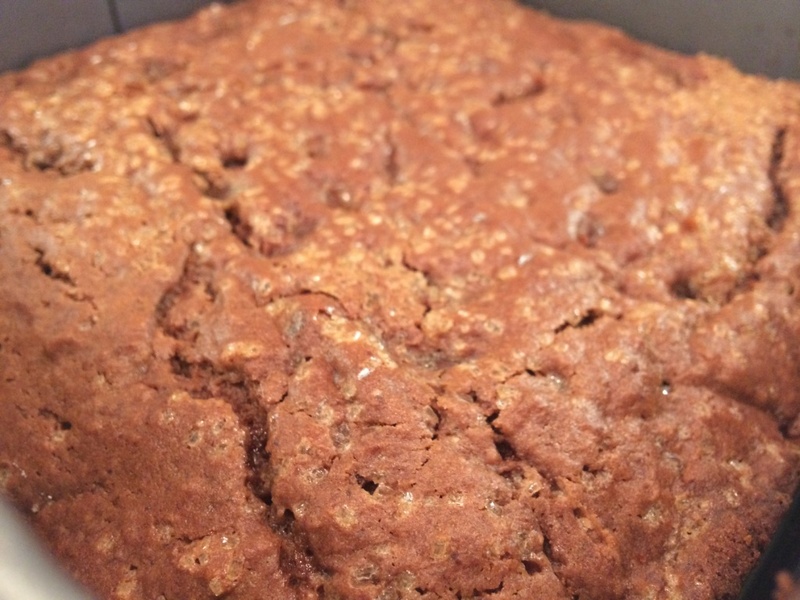 – Pour into a greased, lined loaf tin. 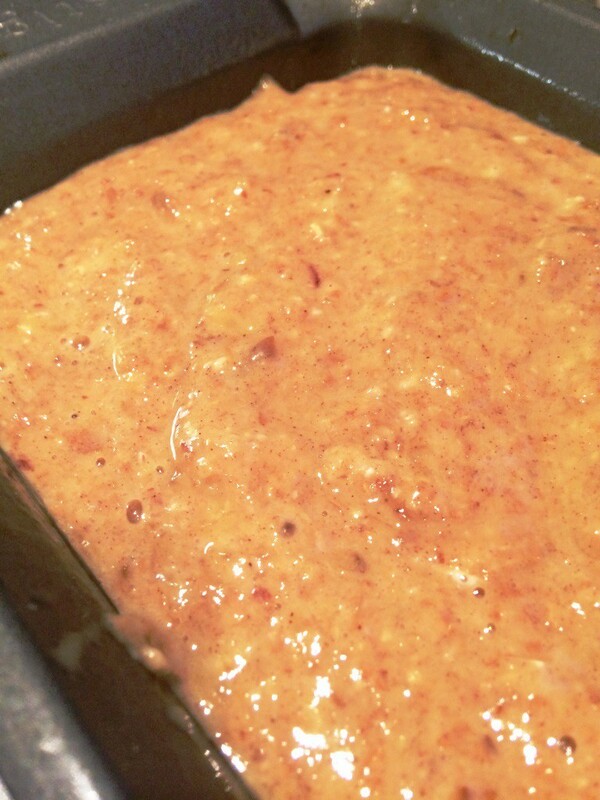 It is quite a liquid mixture so will level out easily by itself. – Bake at 150 degrees for 1 hour. In my fan oven this was the perfect time – an inserted skewer came out clean first time – but for other oven types it’ll take longer. Give it extra time in increments, testing with a skewer each time that oven beeps! It’s best eaten quickly, or keep in the fridge in tupperware and work through it over a few days. It won’t be difficult! Enjoy in big slices. 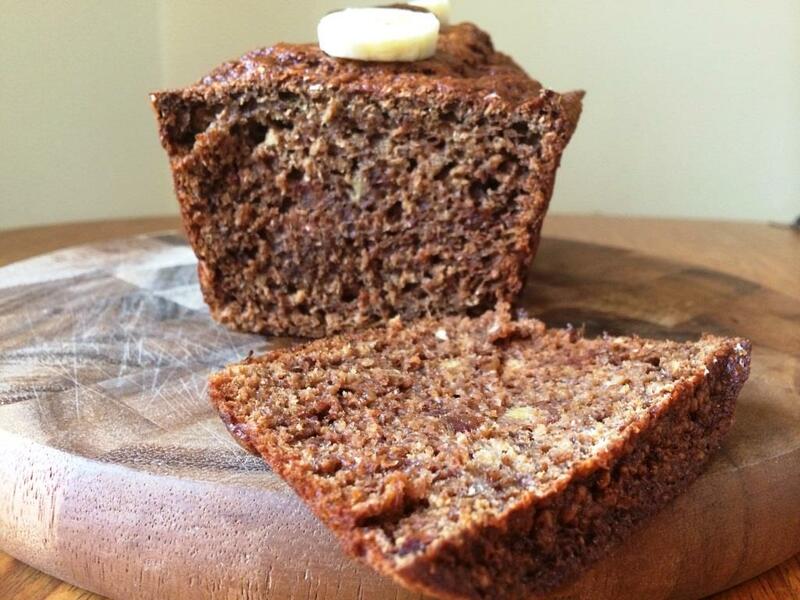 It definitely doesn’t taste healthy, but makes a brilliant guilt free snack! 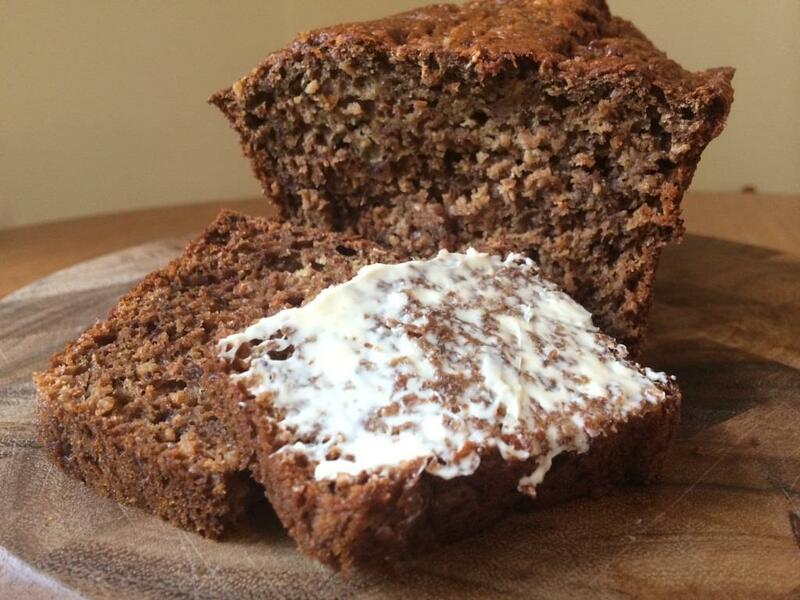 If you’re after something a little naughtier, it works just as well with a good smother of butter, a la malt loaf.